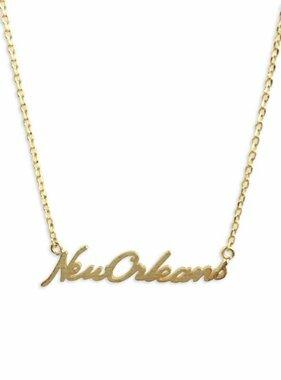 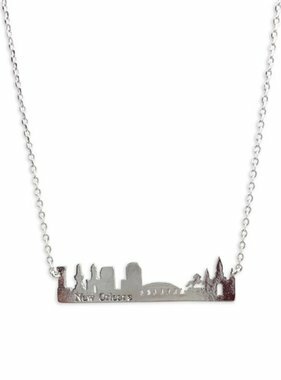 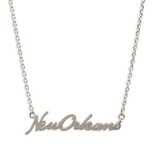 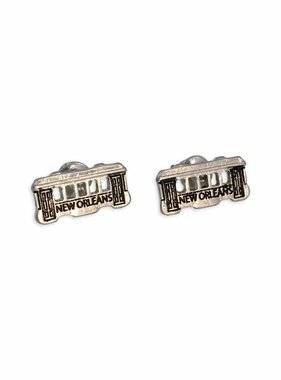 New Orleans pendant on a silver tone chain. Pendant is 1 inch wide, chain is 18 inches long. 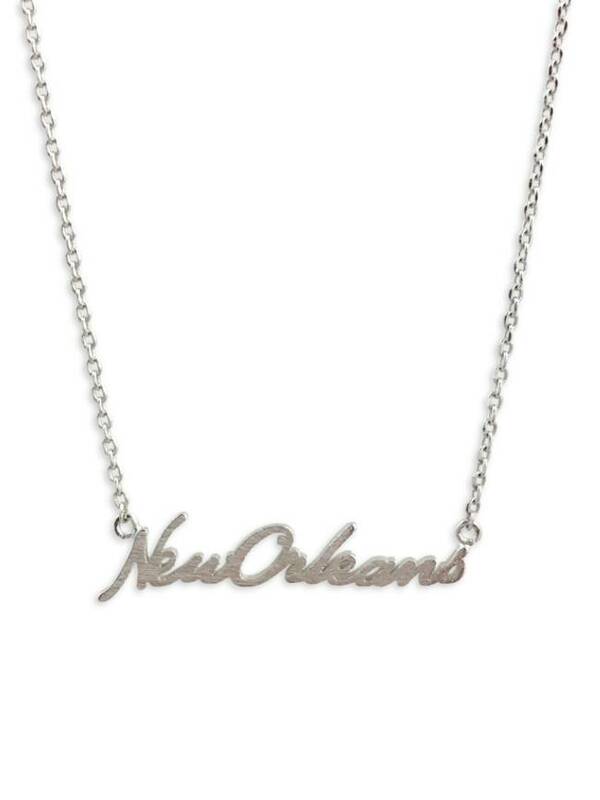 Lead and nickel compliant.